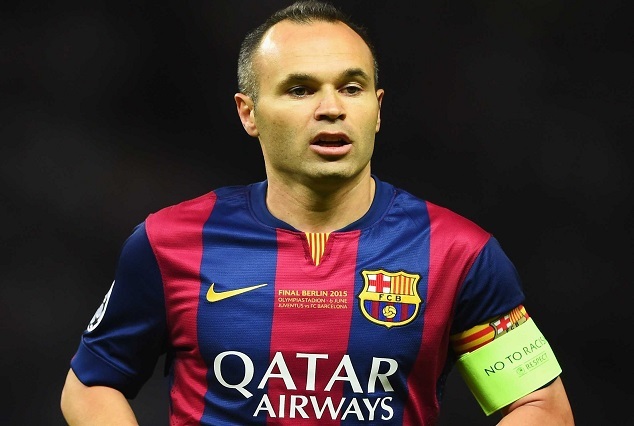 Andre Iniesta who has been on the sidelined by a knee injury is back ahead for the El-Classico clash. Iniesta sudden restoration could be more of a timely comeback for the Catalan giants, as his absence has seen Barcelona midfield more fragile, with his distinguished dazzling passing and creative flair he adds to the game as stay put since his absence. The 32-year has a startling tendency not to lose possession of the ball, this gives room for Barca to outplay their opponents, efforts from Ivan Rakitic, Andre Gomes and Denis Suarez hold no light to the ever glowing Don Andre, the midfield glow has been lost since 40 days absence of the midfield maestro. Now that Iniesta is back the manager might resolve to a change in formation, Samuel Umtiti in the starting lineups as Pique partners the French man, with Javier Mascherano moving from centre back to right back, makeSergi Roberto moving from right=back to midfield if the manager is likely to introduce the 3-4-3 formation. It not new since the manager makes use of this formation against Leganes and Deportivo La Coruna.since its a 3-4-3 formation, Lionel Messi and Neymar will have the central midfield to overload. Will Luis enrique ever gamble on such tactics?this just a possibility.